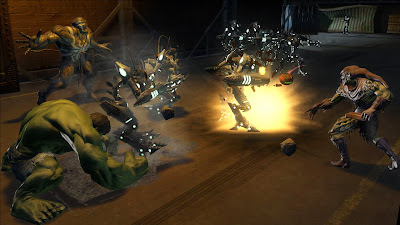 Synopsis: The sequel to the action-RPG Marvel: Ultimate Alliance is finally here and has some big shoes to fill as its predecessor that was released in 2006 sold four million copies worldwide, making it the best Marvel super hero game of all time. 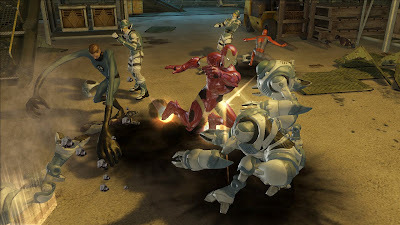 This title’s storyline puts the player in the middle of the popular Marvel civil war conflict, allowing the player to choose between the pro or anti registration sides, which in turn affects the enemies battled, missions accomplished, and characters unlocked throughout the game. 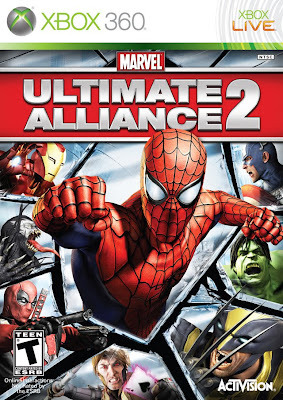 Ultimate Alliance 2 sports an impressive roster of 24 playable characters to make up your four person team that can be changed throughout the game. Coop gameplay is available both on and off line, supporting up to four players. Fusing of superhero powers is probably the biggest new feature to the game, allowing the player to combine two character’s powers for a devastating attack, and the large roster of characters, makes for 250 different fusions. So will Ultimate Alliance 2 be able to fill these extraordinarily big shoes? Praise: Most of the new features fix the little nuances most people had with the original. The best examples of this would have to be the ability to change your team members from the pause menu as opposed to waiting for the next save point. The graphics also appear to be overhauled as there is a lot more detail to the characters and environments. Like the originator, the character line up is amazing, there are some characters I wanted to appear in the sequel that were in the first and some new characters that I did not care for, but the non playable characters brought into the story helped me forget any issues I may have had. Character fusions, the newest and largest feature added to the title, are visually pretty and extremely helpful, when you are vastly outnumbered and the outlook is bleak. Gripes: The camera control is not so forgiving, with the camera focused closer to the characters, there is more a need to move the camera, but if you are in narrow corridors, the camera is locked without the ability to change views. There are times where there are too many people on the screen at once, in these cases the fusions come in handy, but if you do not have any fusion attacks available, you are stuck mashing buttons in hopes you are attacking the enemy. Lastly, there is a cheat code to unlock the characters and costumes, but be forewarned that you cannot save your game if you chose to enable this cheat, yes, I did learn the hard way. Overall, Activision did a great job at fixing most of the issues from the original when making this hard hitting sequel and added the right amount of new features without taking away from what worked in the first go round. With the ability to choose between pro or anti registration, I will be going back to play through the game again, but for now, I am hoping for some downloadable characters to quench my superhero gaming itch. 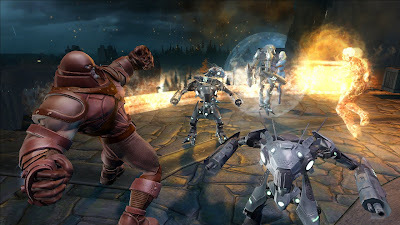 Mashbuttons.com gives Marvel Ultimate Alliance 2 for the XBox 360 and Playstation 3 an 8 out of 10. 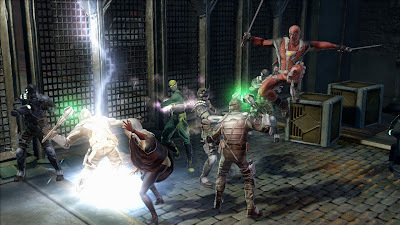 Marvel Ultimate Alliance 2 is available now for the Xbox 360, Playstation 2 and 3, DS, PSP, and the Wii.